Updated research features 45 web and software development companies that have proven the quality of their work, according to feedback from their clients. 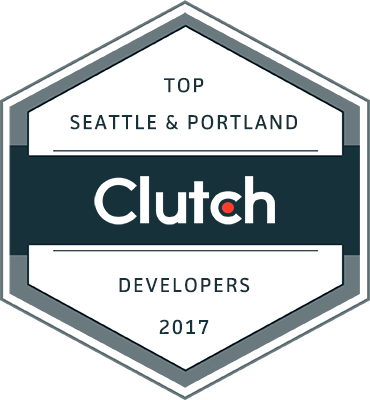 WASHINGTON, D.C., Sept. 21, 2017 - Clutch announces the top web and software development firms in Seattle and Portland. A B2B ratings and reviews platform based in Washington, DC, Clutch identified these top performing companies by interviewing clients, analyzing market presence, and comparing them to their peers in a specific market. The 45 companies Clutch highlights have established their leadership in the IT community through the quality of their services on a variety of projects. The top 7 Seattle software developers are: BrightStarr, Northwest Independent Ruby Development, Affirma Consulting, Smashing Ideas, Black Antelope, BTownWeb, SWECKER. The top 15 Seattle web developers are: Forix, Jordan Crown, coolblueweb, Freelock LLC, SWECKER, Montana Banana, Fuse IQ, Inc., 8ninths, Sayenko Design, Maintaingo, Celebrate Drupal, Efinitytech, R2inegrated, Ratio, Black Antelope. The top 8 Portland software developers are: Statement, Planet Argon, Pop Art, Emerge Interactive, Single Mind Consulting, Copious, Solid Digital LLC, Sembit. The top 15 Portland web developers are: Planet Argon, Forix, Cascade Web Development, Stellaractive, Chromaplex LLC, 6D Global Technologies, Vadimages, Sembit, Nelson Cash, Murmur Creative, Subtext, Solid Digital LLC, FINE, Dorey Design Digital, Aha Consulting. When it comes to developing a website or customizing software, there are plenty of options to choose from, so selecting a company to complete such an important task can be difficult. It requires a mutual trust between the client and the company. Clutch identified the top performing web and software development companies using a unique ranking methodology that considers market presence, ability to deliver, and verified reviews and ratings. Client reviews form the backbone of Clutch’s methodology, providing examples of past work and the clients’ experience with each company. Clutch will continue research on developers in the Seattle and Portland areas and looks forward to including new companies in our analysis. Upcoming publications will highlight top India Agencies, Developers, and Outsourcing firms and top developers in Washington D.C. and Baltimore. A B2B research firm in the heart of Washington, DC, Clutch connects you with the agencies and software solutions that help you to enhance your business and meet your goals. Our methodology maps agencies and software solutions based on consumer reviews, the types of services offered, and quality of work.